Dog Parks Are For People Too! Fresh Air – Truth: Most of us don’t get enough time outside in the fresh air. Between our jobs and hectic schedules, it can be challenging to get some quality outdoor time where you can feel the breeze on your face. While your dog plays, take a few moments to appreciate the great outdoors and take some deep, calming breaths. You’ll be amazed how a few lungfuls of oxygen can help with everyday stress. A New Hobby – More and more dog parks now feature agility equipment. If you and your pooch are looking for an exciting new hobby, train your dog to go through an agility course! You can work on improving time through the course, ignoring distractions, and working on advanced agility moves. Your dog will work hard mentally and physically, and you will get a kick out of how talented your dog really is. And just for some giggles, check out these dog agility bloopers. Exercise – You know that exercise plays a vital role in the overall health of your dog, plus it makes him plain old happy. The same can be said for you! When you take a trip to the dog park with your best friend, take the opportunity to engage with him. By getting your heart rate up, you are taking care of your cardiovascular system and releasing endorphins at the same time. Feel Good Hormones – Researchers have discovered that when we spend time with our pets, our bodies release a feel-good hormone called Oxytocin. This hormone played a key role in the bonded relationship we began with dogs thousands of years ago. So, while you’re playing fetch with your dog at the park, you’re releasing a hormone that makes you feel all warm and fuzzy, and helps strengthen your bond with Fido that much more. 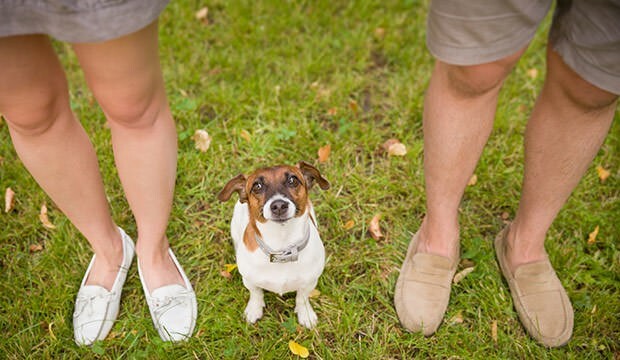 Socializing – Like us, dogs are very social creatures. They enjoy being part of a pack and love to greet every other dogs. They even “exchange business cards” by sniffing each other’s rear ends as they meet each other. Humans need socialization too, though it’s best you leave the rear ends of new friends alone. If you make going to the dog park part of your lifestyle, you’ll inevitably start seeing some of the same people and get to know them and their dogs. Strangers become friends very quickly when you have dogs around to help break the ice. A Change of Pace – Many of us are living hectic lifestyles in which we feel overworked and stressed. On top of that, we often spend too much time staring at electronic devices. There is something to be said for unplugging. Dogs are the best teachers when it comes to living in the moment. Next time you feel the weight of the world on your shoulders, head to the dog park and take 30 minutes with your best friend to unwind, unplug, and de-stress. You’ll feel refreshed and recharged when you head home! Be the Wise Owl – Are you an amateur dog expert? If you have years of experience in training and caring for your own dogs, chances are you have invaluable tricks up your sleeves. There are lots of new pet parents at the park, or even other folks like you, and it can be a fantastic opportunity to share resources and ideas. You all may have answers when it comes to reputable veterinarians in the area, favorite chew toys, and basic obedience tips. Giving Back – If you’re looking for a way to get involved in your community, dog parks are an excellent place to start. Many off-leash areas are run by volunteers who help with maintenance, clean up, and events. By volunteering, you’ll get to know similar minded people, and truly make a difference in your town. And if your community doesn’t have a dog park yet, consider starting your own group to fundraise and help improve the lives of people and their pets. Posted in Uncategorized | Comments Off on Dog Parks Are For People Too!